Newcastle synth pop band Twist Helix are a group unafraid to say it like it is. 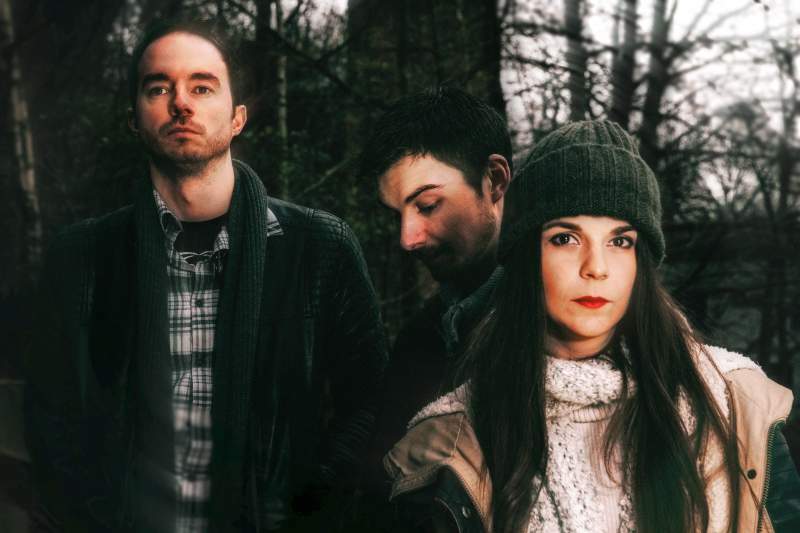 Take their debut album, tellingly titled Manifesto, in which they tackle the highs and lows of an aspiring musician from Teesside; the protagonist’s journey is one that many artists will find all too familiar. “The protagonist is filled with an initial excitement but is eventually left disappointed and searching for reasons to start anew. The final movement for change in Manifesto is not so much aesthetic as it is personal.” Explains vocalist Bea Garcia, whose softly accented voice (she’s originally from Alicante) is the group’s crowning glory. The concept album, which was co-written with drummer James Walker, is a thrill of intelligent synth pop. Schizophrenic synths weave amongst punchy guitar on highlight track Decade, while Quiet’s soaring guitar lines and tribal drums is a real torch song, complemented by agitated melodies and a runaway rhythm that’s infectious. From the glacial iciness of Cynical to the appropriately moody Storm, the album keeps the listener hooked from the very beginning thanks to some evocative imagery. “The imagery in the opening track, Flare, for instance was inspired by the sight of James’ hometown [Middlesbrough] at night. That image of shimmering flames, the bi-product of industry, is at once destructive and beautiful. I don’t think we could have found a better metaphor for the creative process.” Bea explains. While Bea doesn’t necessarily feel she can identify with the album’s protagonist, they did draw on their own experiences while writing. Twist Helix are a group with a clear direction and focus, who have worked hard to keep their authenticity both live and in the studio. Their manifesto stretches far beyond their own material too, having become frustrated by what she saw as a lack of support for female-fronted bands in the region, Bea and her bandmates began to actively promote other female musicians. “Out of the twenty gigs we played last year, I have only shared a stage with another female musician three times, it’s a really bleak outlook for those who want to see more women participating in music. We´re trying to do what we can to change this, that’s why we started promoting as Manifesto Music; as there was no dedicated space for female fronted acts we made one.” Their first event was a sell-out, and their forthcoming album launch at The Cluny 2 on Saturday 12th March boasts a stunning line-up which sees chilled folksters Love+Lies, dream pop duo Crystals and dark folk star Carys Calling sharing the bill. Twist Helix launch Manifesto at The Cluny 2, Newcastle on Saturday 12th March.